It is not often that a major video game company like French powerhouse Ubisoft, the people behind Assassin’s Creed, comes up with a new IP. So it’s logical that gamers are excited about the company’s upcoming game For Honor, which will be hitting consoles and PC next month. For Honor is a game belonging to the “hack and slash” genre, focusing first and foremost on melee combat, while according to Ubisoft the game will also feature larger than life battlefields and three factions for players to play as: the Knights, the Vikings and the Samurai. And judging by gameplay videos such as the one below, the game is looking like it could be one of this year’s top releases as it features stunning graphics and what appears to be a pretty deep combat system. Plus renowned studio Ubisoft Montreal is behind it, the team that gave us the seminal Assassin’s Creed II and the equally great Assassin’s Creed IV: Black Flag. 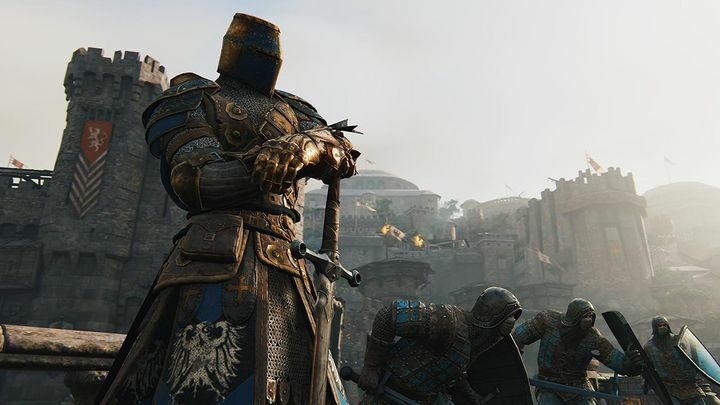 Ubisoft also recently revealed the game’s system requirements in a blog post, and thankfully PC gamers won’t be needing a cutting edge machine to run For Honor, at least not at a resolution of 720p (which is supported by a machine meeting or exceeding the game’s minimum requirements). Running at 1080p resolution, however, requires a PC that meets the game’s recommended system requirements, which luckily are not out of this world either. This is because an Intel i5 processor or AMD FX-6350 will be enough to run the game at 1080p, plus a GTX680 graphics card and 8 GB memory will be enough to play the game in high definition. Note: For Honor will be released on February 28, 2017. Available on PS4, Xbox One and PC.